DCSD opens doors to DeKalb Association of REALTORS. 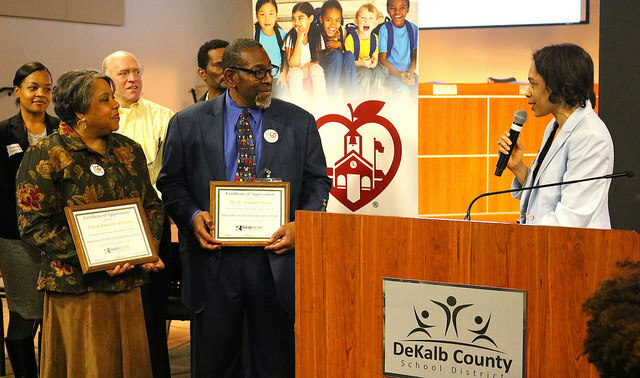 The DeKalb County School District (DCSD) opened its doors to more than 40 real estate investors on March 2, proving great things happen every day at district elementary, middle and high schools. 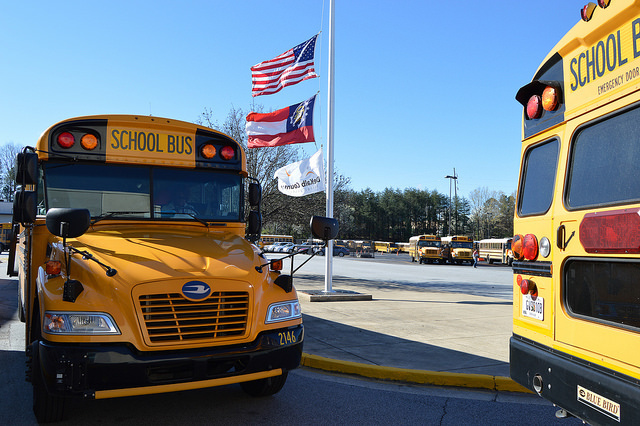 Each year, DCSD welcomes members of the DeKalb Association of REALTORS to schools in all five regions as well as its Administrative & Instructional Complex. The event, which has come to be known as the “Seeing is Believing” tour, provides a snapshot of progress to potential and current real estate investors. 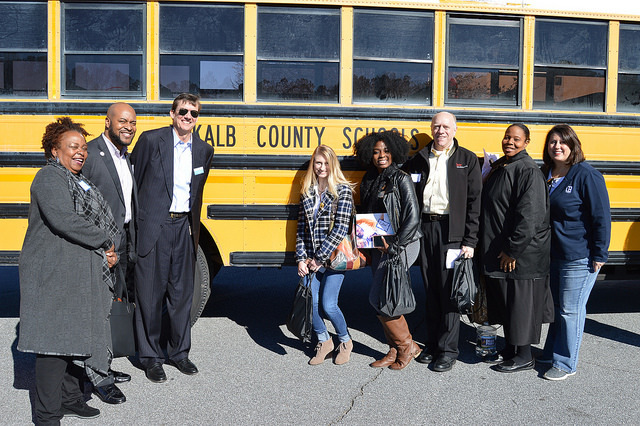 On March 2, the DeKalb Association of REALTORS broke into groups of about 15 and visited Ashford Park, Rockbridge, Murphey Candler or Columbia elementary schools. While there, they learned about each school’s demographic, STEM (science, technology, engineering and mathematics) programs, International Baccalaureate (IB) programs, testing statistics, and more. REALTORS then moved on to either Chamblee Charter, Stephenson, Arabia Mountain or Cedar Grove high schools to hear similar presentations before enjoying a catered lunch. 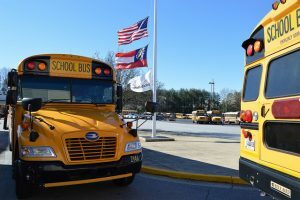 Those present at the 2018 tour also heard from deputy superintendent Dr. Vasanne Tinsley, Public Safety Chief Bradley Gober and Information Technology specialist Joseph Swing about enhancements to school district security. Tinsley outlined how certain schools will soon include metal detectors; how the district reinstated its K-9 Units; future upgrades to security cameras; and upgrades to new school construction. Chief Gober outlined how DCSD employs 73 school resource officers, 114 campus security supervisors, 120 crossing guards, and a safe school audit team. Tinsley also detailed the Digital Dreamers initiative, which will place a laptop device and mobile hot spot in the hands of every DCSD student. Swing outlined computer enhancements as well as visions for the future dealing with student protection.